Once quite specialized, the market for fitness products is now heading towards becoming a trillion-dollar industry, and it seems we cannot get enough of the movement towards improved health and wellbeing. Perhaps inspired by the media and celebrities, as well as an increasing awareness of lifestyle-related illnesses, we’ve never been keener to explore diet and exercise – and we’re desperate to find the right products that will aid this improved lifestyle. So, what have we been buying? Fitness products are no longer only tangible items that we can pick up and purchase; the fitness industry now includes workouts, classes, diets, and lifestyle changes that we can buy into and embrace. For example, there have been a series of innovative new workout methods released in recent years, ranging from reinventions of classic sports, exercises, and activities, to brand new concepts that have utterly revolutionized the way we keep fit. TRX, Core Fusion Extreme, Yogalates, and Xtend Barre hadn’t been heard of prior to the fitness and wellbeing boom, but now they’re sold in fitness centers and gyms internationally, and our keenness to diversify our workouts means there’s always innovation on the cards. Spas, wellness tourism, home fitness programs, and dietary advances could also be deemed a part of the fitness product market, as we readily buy into the things that aid our quest for wellbeing. Clothing makes up a huge part of the fitness industry, with items making up a vast number of the products we buy each month. The rise of athleisure wear has been particularly instrumental to the increasing profits reaped from fitness clothing; there is no longer a discernible difference between gym wear and everyday clothing, with many people choosing yoga pants, fitted t-shirts, and hooded tops regardless of the activity they’re about to undertake. Comfort is just the first step in looking and feeling great, after all. We’re also buying more clothes that will aid our workouts, as technology and innovation have revolutionized the processes behind such garments. Compression wear has become a standard in fitness, supporting our muscles, improving circulation, and preventing injury as we undertake exercises of every kind. Receiving favorable reviews online, items such as leggings, vests, t-shirts, back braces, and wrist and leg supports are firmly in vogue, and can even be used to assist recovery following an accident. There are countless accessories designed to aid a healthier lifestyle, as well as those created for specific activities. This is perhaps one of the larger corners of the products market, with items ranging from mere cents to hundreds, if not thousands, of dollars. Included are fitness watches and smartphone apps, yoga and stretch mats, skipping ropes, gym balls, push-up bars, weights and lifts, power tubes and plates, and heart rate monitors, as well as seemingly insignificant items such as drinks bottles, bags, shoe laces, and sweatbands. Each of these is a high quality item made with your needs in mind. 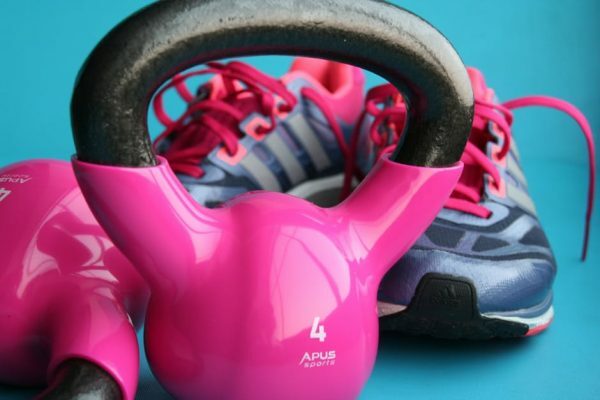 While it’s not always necessary to purchase these accessories in order to workout, they are designed to facilitate and improve our experiences with exercise. Furniture and devices such as cross trainers, treadmills, and spinning bikes are bought to a lesser extent, perhaps due to cost, but make up an important part this vast market nonetheless. There is a growing market for associated fitness products that complement a healthy lifestyle, gym workouts and classes, and accessories that already do exceptionally well. These include fitness DVDs and CDs, food and drinks purchases to aid a healthy lifestyle, and anti-aging products. It would be impossible to get fit and remain healthy without changing your lifestyle, and these associated purchases offer support to those who may not know where else to turn. While nothing can beat the advice of an expert, familiar faces and industry leaders endorse many of these items; they allow us to take control of our own health and fitness. A major, and perhaps obvious, prediction for the fitness industry is that it will continue to expand; existing fitness centers will add classes, equipment, and wellness experiences, while small, independent gyms, and franchises, will keep appearing nationwide. Competition is fierce across the industry, which is hugely beneficial to the consumer and your quest to keep fit. There will also be greater opportunities for businesses to profit, with pro-shops, CDs and DVDs, clothing and accessories, and wellness tourism featuring at gyms and fitness centers. As you’d expect technology will be at the heart of the industry’s growth and popularity, with innovations engaging consumers and enticing them into the world of health and fitness. The ways in which we monitor our workouts and bodies will continue to develop, while predicting the best workouts for individuals will become a standardized practice – both at home and in the gym. As a rule we all want to feel good about our bodies, and to better our health and wellbeing. Technology and innovation will continue to enchant gym-goers, and aid a better standard of living for all. The fitness industry is certainly one to watch, and the market for fitness products an exciting one that expands almost daily. As we strive to lead healthier lifestyles and better our level of fitness, our interest in the products that support such a decision increases. Whether you consider yourself a fitness fanatic or a casual exerciser, it’s always keeping a close eye on the fitness industry to see what will happen next.